Allaire Village is hosting its Art in the Park Event and the Annual Fall Crafters’ Market on Saturday, September 13th from 10 a.m. to 4 p.m. on the grounds of The Historic Village at Allaire, located in Allaire State Park. Admission to the event is $2 for adults,children under 12 are admitted free. 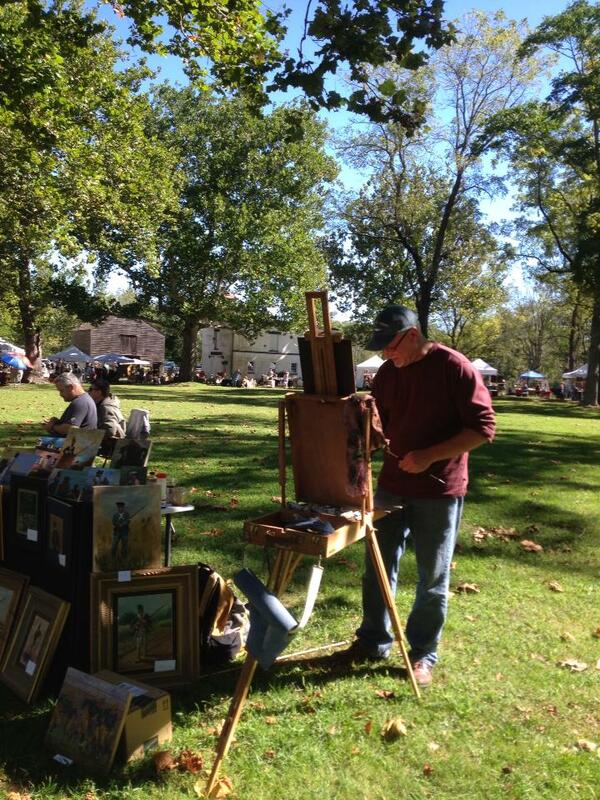 Join us for a day of art & craftsmanship where artists display their works on the grounds of Allaire Village! Vendor space is available, must be pre-registered. Children between the ages of 5 and 12 can enter our “My Historic Allaire Village” art contest! Children can draw or paint their favorite building, event, or historic interpreter from Allaire Village and return it to the Allaire staff with the appropriate form. Entries will be judged and winners will have their artwork included in Allaire Village’s official 2015 calendar that will be on sale at the General Store! For more information on how to enter, please call us at 732-919-3500. Exhibits by local craftspeople and artisans include demonstrations and feature everything from museum-quality pieces to “country crafts”, handicrafts and home-made “bric-a-brac.” Food and beverage service is available. (The rain date is September 14th). Contact the Allaire Village office at 732-919-3500 for vendor information. This event is a fundraiser benefiting the historic and educational programs presented at The Historic Village at Allaire by the non-profit organization, Allaire Village, Inc. Patrons to the Crafters’ Market will wish to visit the restored 1830’s iron-manufacturing community now known as The Historic Village at Allaire. The General Store/Museum Gift Shop and Bakery will be open for shopping and refreshments. The Historic Village at Allaire is located within Allaire State Park at 4263 Atlantic Avenue in Farmingdale, NJ off Exit 98 of the Garden State Parkway and off Exit 31B of Interstate 195. For more information, contact the Historic Village at Allaire office during business hours, Monday through Friday, from 9 a.m. to 5 p.m., at 732-919-3500 or visit our website at www.allairevillage.org.